Hello wine lovers and happy #wineWednesday! As I write this, I am sitting in beautiful Penticton, B.C. as I am up for my B.C. VQA panel sessions. I brought my family along with me and we have taken advantage of Skaha Lake’s warm water and the Best Western Inn at Penticton‘s outside pool. Yesterday was 40 degrees celsius and today is 38…WOW. The dry heat agrees with me and my bones! Yesterday, I went to Wild Goose Vineyards located in Okanagan Falls. I have always been a fan of this winery and the Kruger family…they pay close attention to detail and deliver excellent wines to hordes of adoring fans. I did a flight of their white wines in the tasting room overlooking sun soaked vineyards and I was in my happy place. 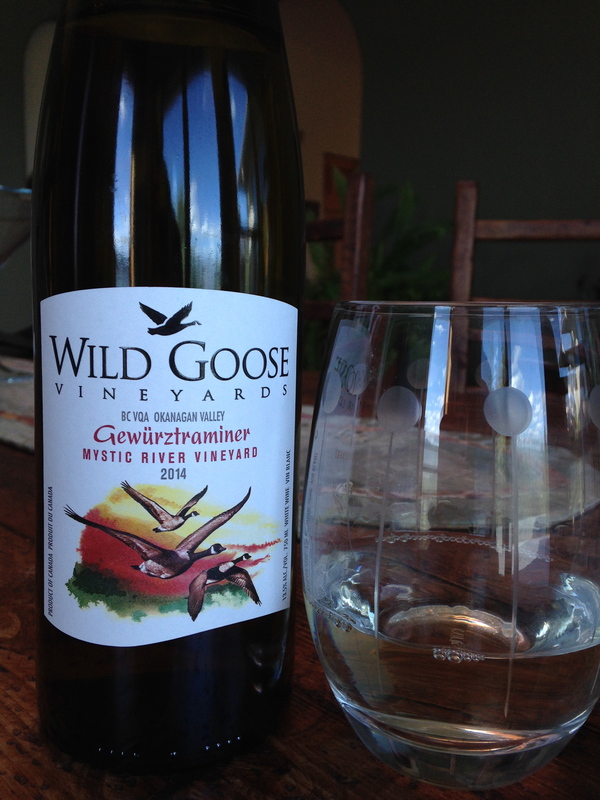 On deck today for review is Wild Goose Vineyard’s ‘Mystic River’ Gewürztraminer B.C. 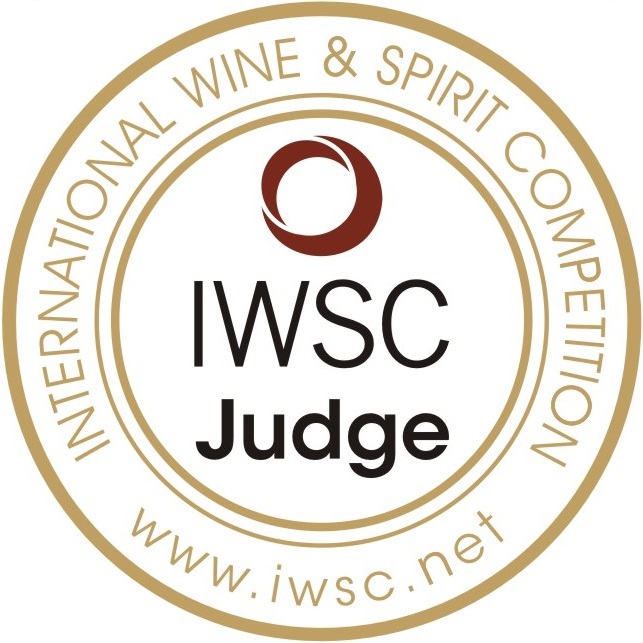 VQA 2014. In the glass, it is pale lemon in colour and rings in at 13.5% alcohol. On the nose, this is one floral smelling beauty. Loads of rose petal and rose-water on the nose along with lychee, peach, mango and clove. Most lovely. On the palate, the acidity is excellent and mouth-watering. Flavours of rose-water, lychee, pineapple, guava, minerality and peach with a nice, lingering finish. If you could describe a wine as ‘pretty’ this would be that wine. It is available at the winery for $20.10 and is a great deal for such a nicely complex and balanced wine. I continue to be a fan. I am so happy that I stopped in and am looking forward to trying their on site restaurant – the ‘Smoke & Oak’ Bistro. Next time indeed! That is it for me this week. I am gearing up for my trip down to Walla Walla, Washington at the end of the month – if you have suggestions for me – please do send them along! I tried some Canadian whites, mostly from Ontario, a couple of months ago at a trade fair including some Gewürztraminer. Very impressive wines but difficult to find here in Germany. The Gewürztraminer you reviewed sounds lovely! Thank you – you must come to BC! Hi Chrissy, really enjoying your reviews! My fav walla walla winery is Ecole 41. They have the best bordeaux blends west of France. Great write up about my favorite Gewurz – that Mystic River vineyard site is pretty special for sure. If you are going to Walla Wall, I would highly recommend Rotie Cellars, Otis Kenyon, and Woodward Canyon. I was there in 2010 for the Wine Blogger’s Conference and those wineries all did an awesome job. Oh, and Charles Smith has a place downtown as well, just a couple blocks away from Rotie and Otis Kenyon if I remember correctly. Have a great time!